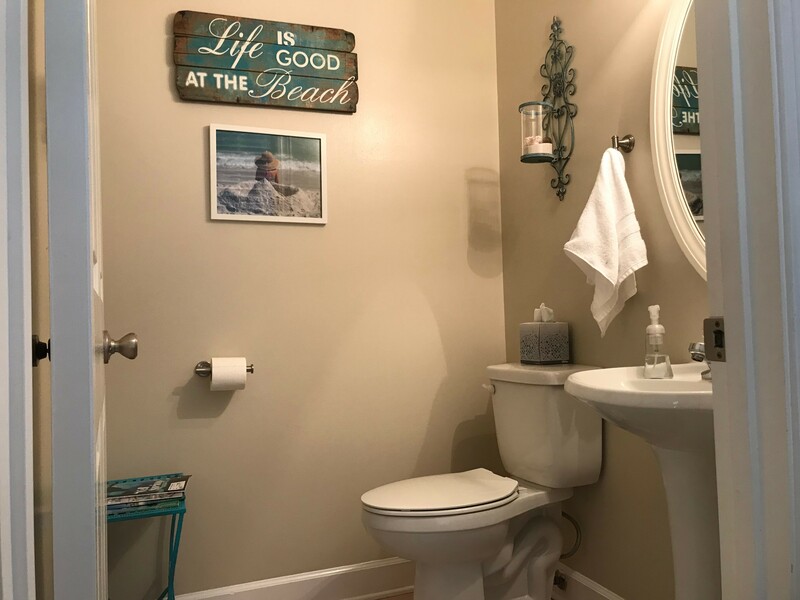 Destin, Florida vacation house for rent by owner, 5 bedrooms 3.5 baths, Destin Florida rental by owner in Emerald Shores.. Welcome to the Ohana 5 bedroom beach house! Bar and kitchen table seating for 13. 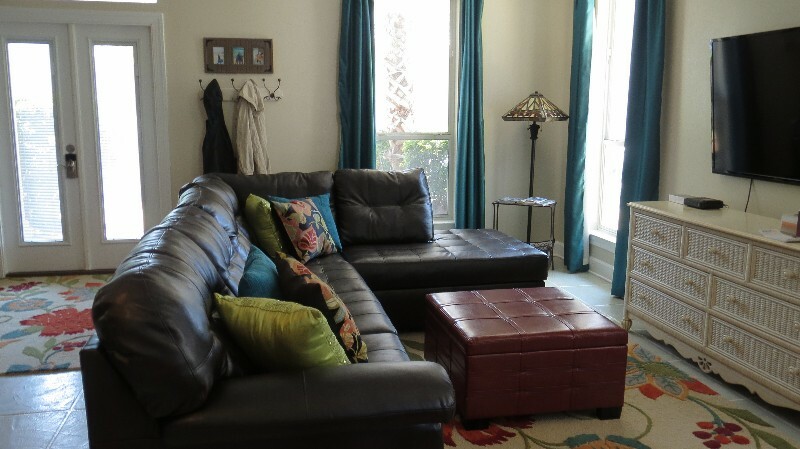 Spacious living area on main floor. 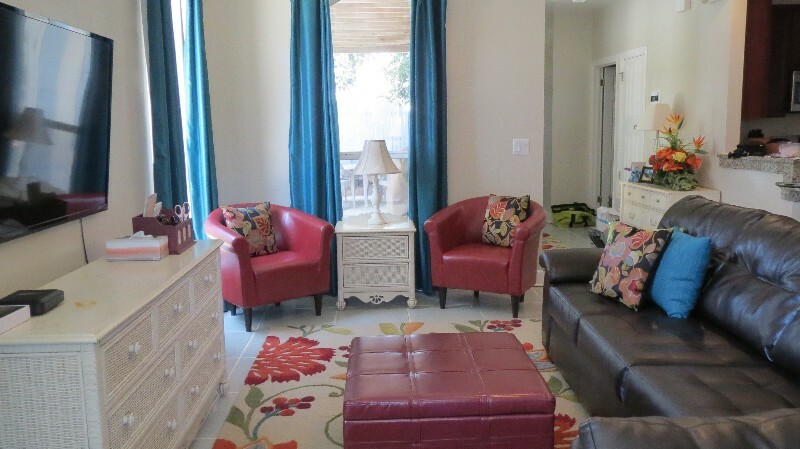 Family room area with movies and board games. 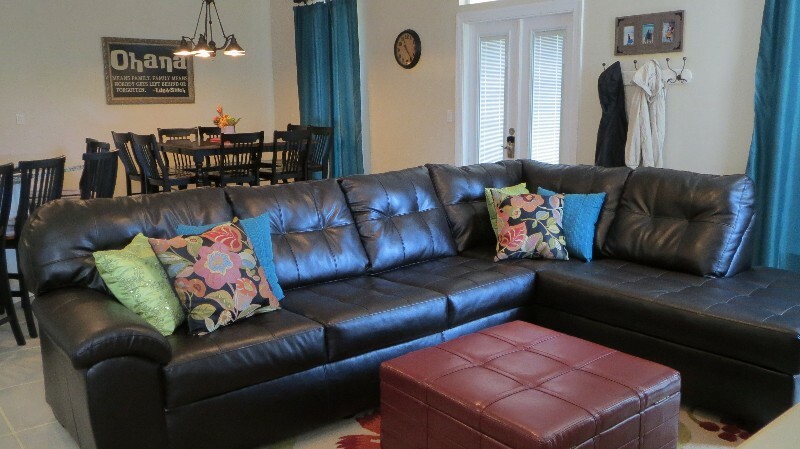 Family room with 60" flat screen smart t.v. Main floor master with King bed and sitting area. 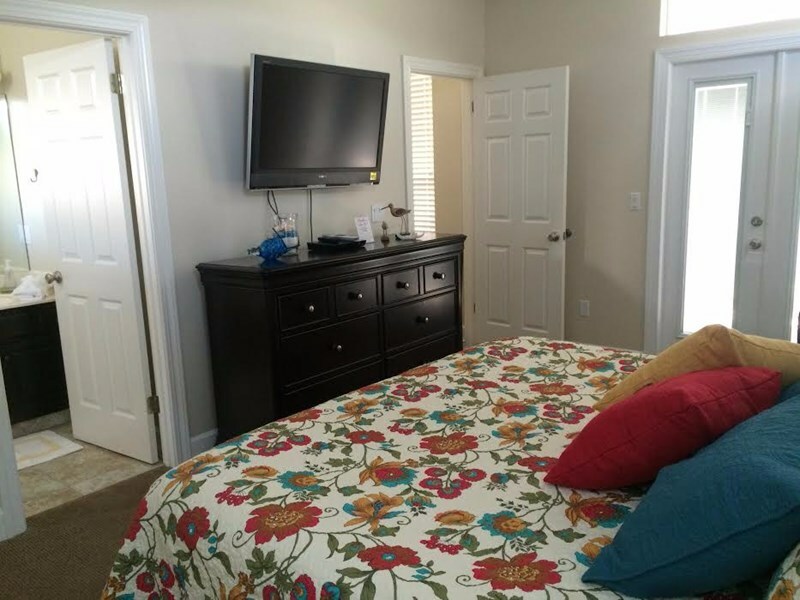 Master king has 45" flat screen, Blu-ray player and doors to patio area. 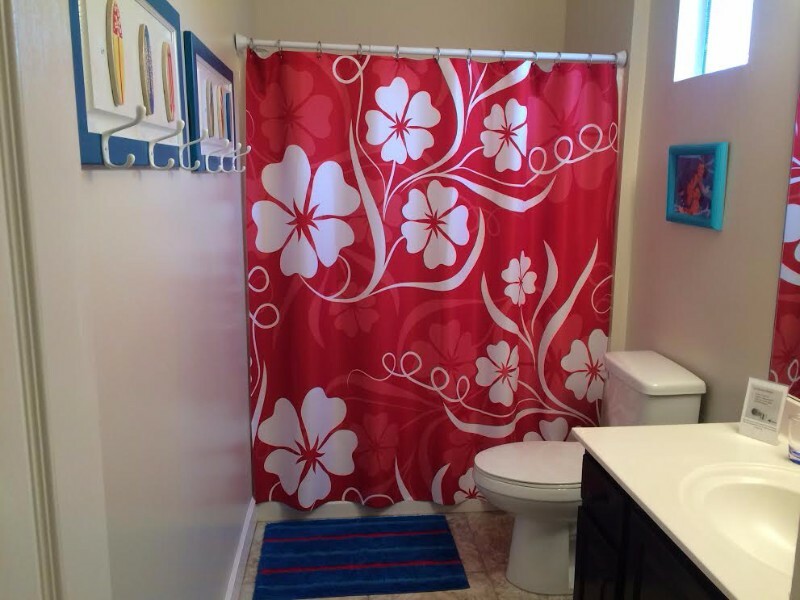 Master bath with jetted garden tub/shower and new tile. Second floor Lilo and Stitch themed bunk room. 2nd floor tub/shower bath with new tile flooring. Second floor Queen. French doors open to porch. 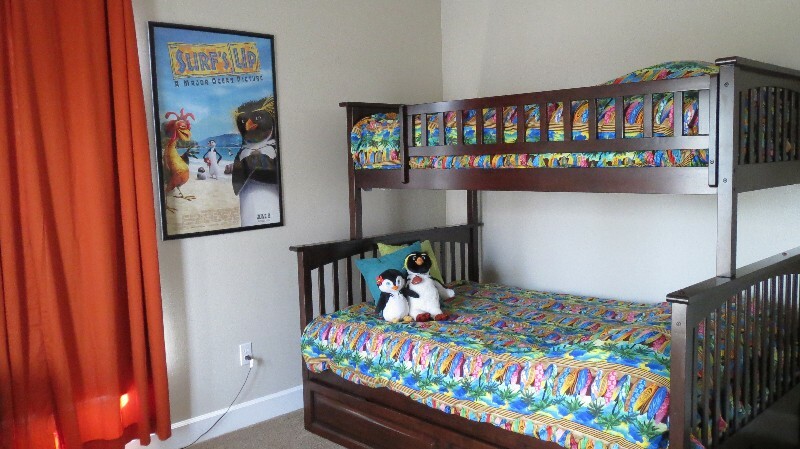 Third floor Surfs Up themed bunk room. 3rd floor tub/shower bath with new tile flooring. Main pool is just steps from the front door. 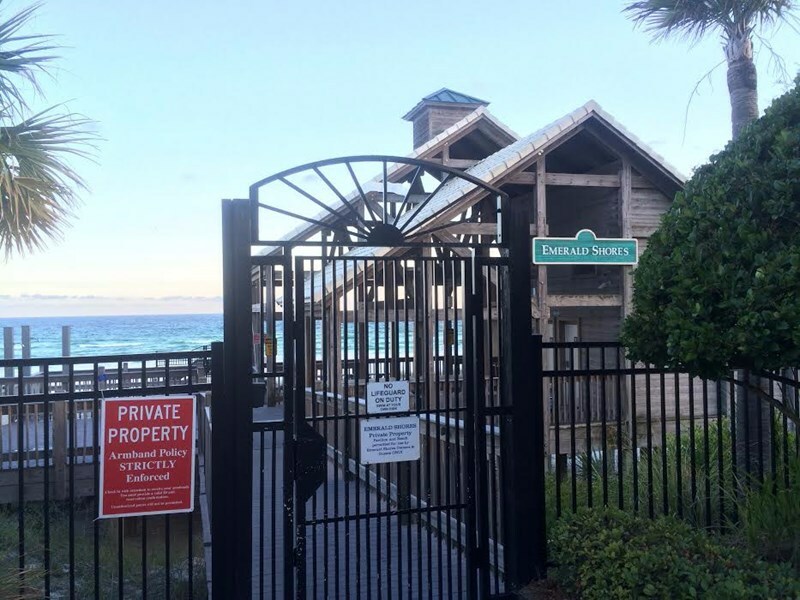 Emerald Shores private beach pavilion with showers, bathrooms, picnic tables and seasonal snack bar. NEW TO RENTAL POOL! 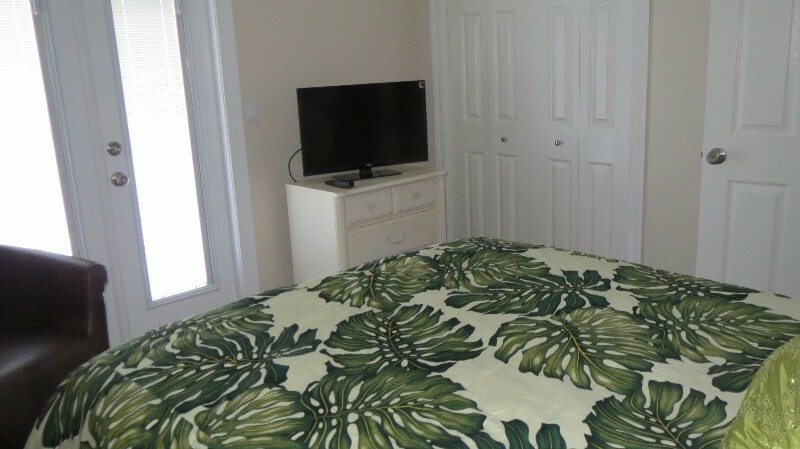 Great Location near the beach! 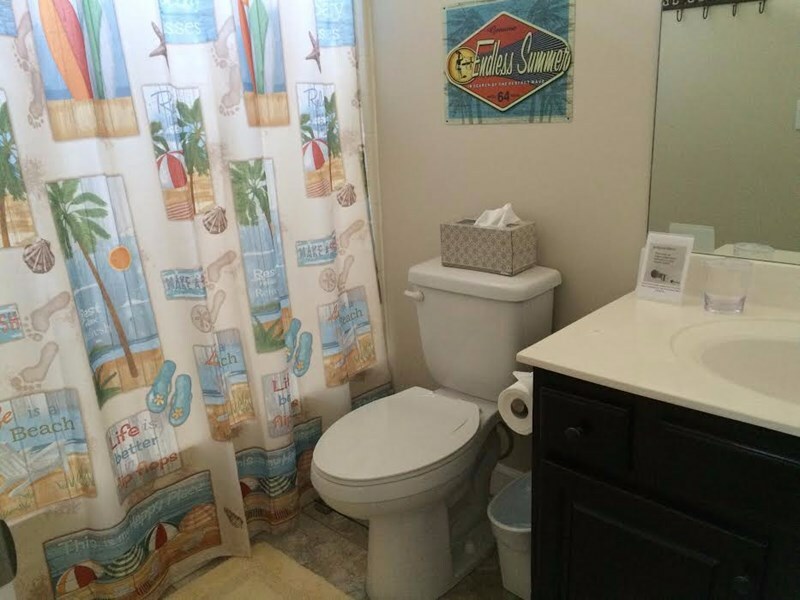 Total REMODEL in May 2014! "Ohana" means family. Family means no one gets left behind or forgotten. 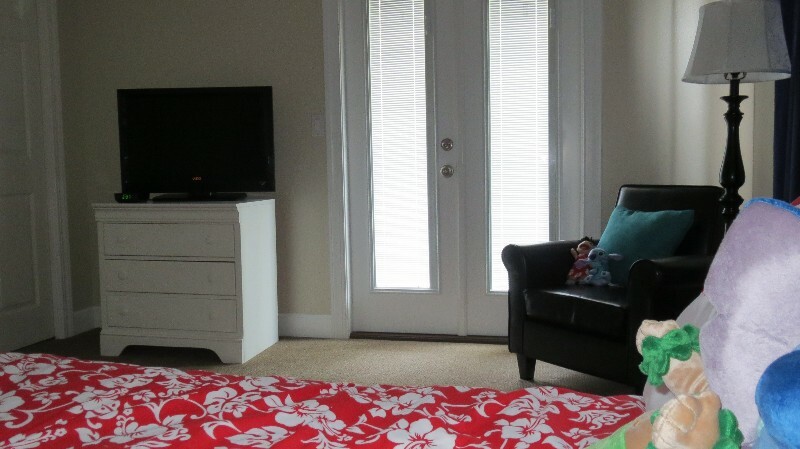 (Disney's Lilo & Stitch) With this spacious 5 bedroom 3.5 bath that sleeps 14 you won't have to leave anyone behind! 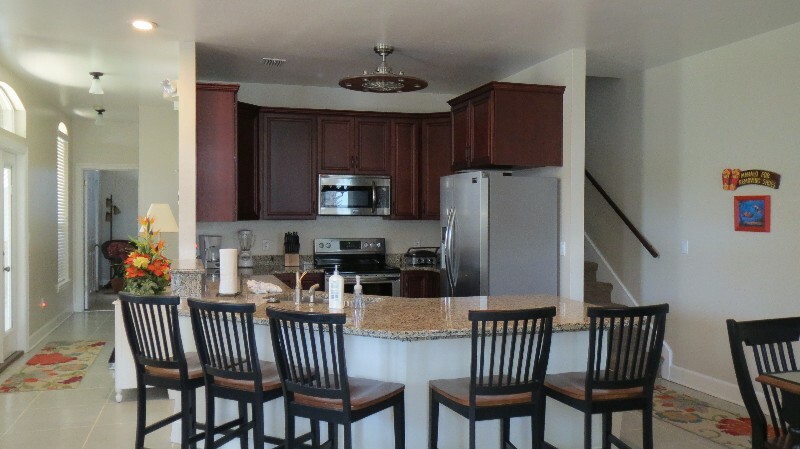 This new listing has just been remodeled and is ready to become your favorite vacation home. 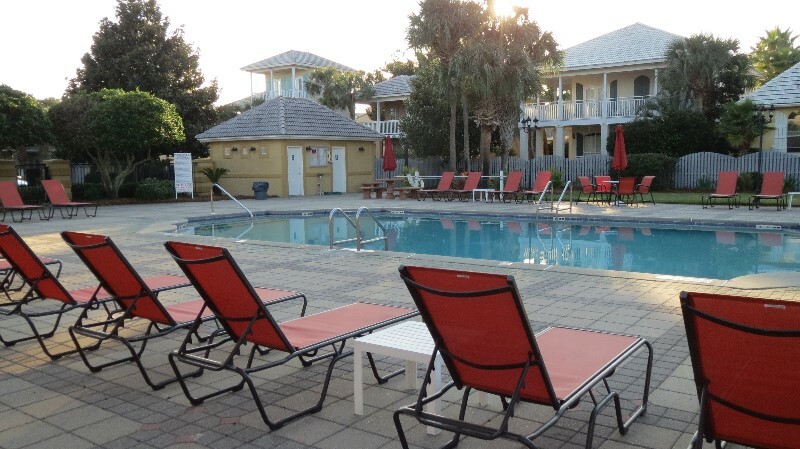 The main pool area is located right out the front door in the cul-de-sac and the beach is only a short stroll away! The home is located in the upscale Emerald Shores gated community and is the only neighborhood in the Destin area with its own private beach pavilion with restrooms, showers, picnic tables, sun deck, shade, beach service, Cabana Cafe' & Bar, and private deeded beach exclusively for Emerald Shore owners & guests. 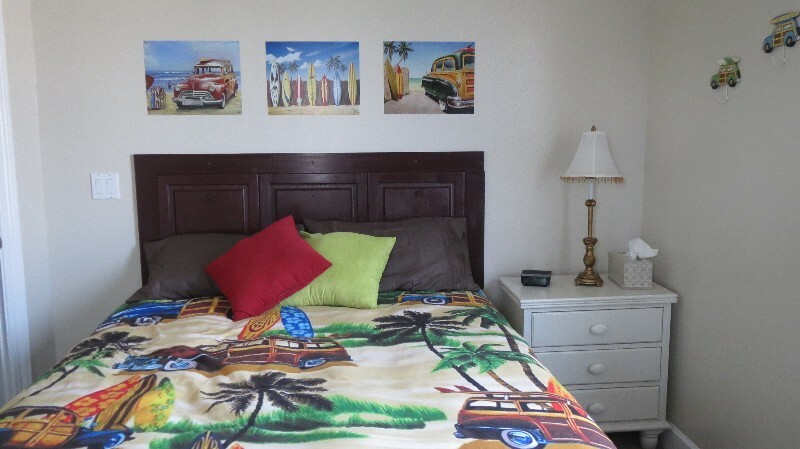 A seasonal free shuttle service can take you to the beach, or you can walk the short distance through the tropical neighborhood pulling the beach wagon we provide for your convenience. Located on the main floor are the King Master bedroom with a full bath with jetted tub, a half bath, laundry room, living room with a comfortable sectional couch for relaxing while watching the new 60" flat screen Smart T.V , enjoying the free Wi-Fi ,or playing one of the many board games with your family, and a completely remodeled kitchen with new appliances, granite countertops, and all the items you need to cook a gourmet meal. The counter height dining table seats 8 and the bar area has seating for 5. Outside on the porch is a brand new gas BBQ and patio table and chairs for outside dining. 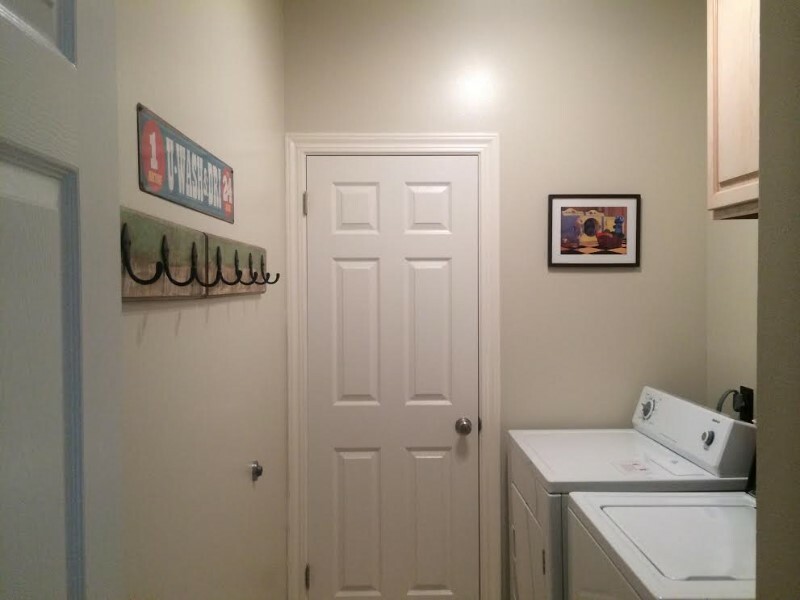 Near the front door is a hose for rinsing off and a patio storage bench for storing your beach toys. 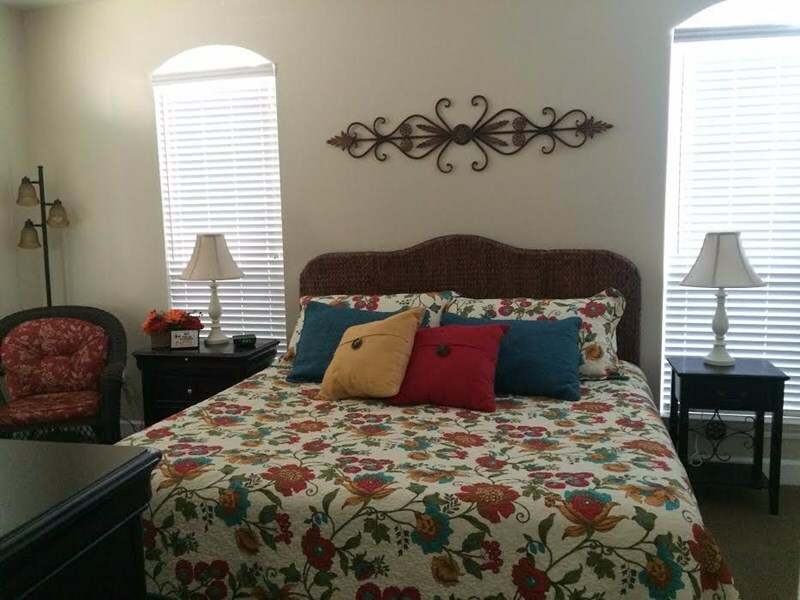 The second floor is perfect for adults and children with one Queen bedroom, a full bath with new tile flooring, and one bunk room decorated in a "Lilo & Stitch" Disney movie theme. 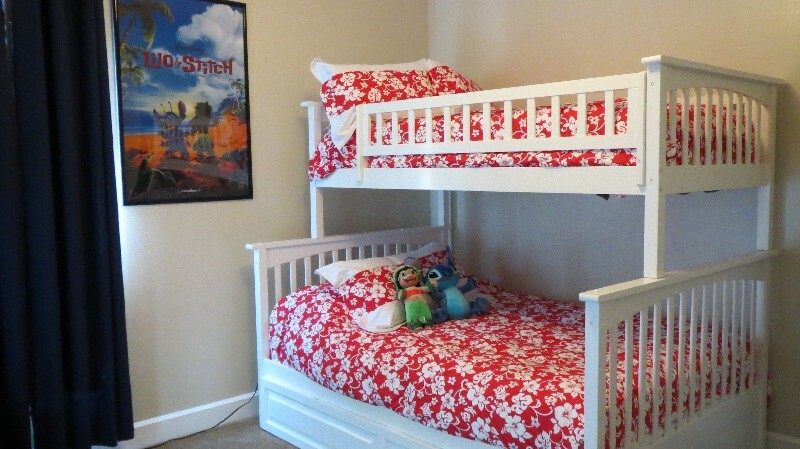 The bunk bed is a double bed with a twin above and a twin pull out trundle below. 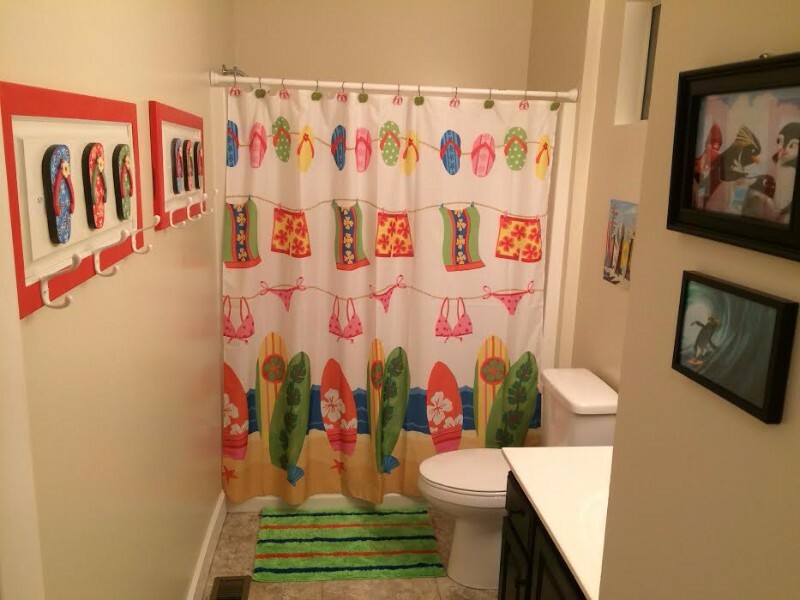 The third floor has the same layout with a Queen bedroom, full bath with new tile flooring, and one bunk room decorated in a "Surf's Up" movie theme. 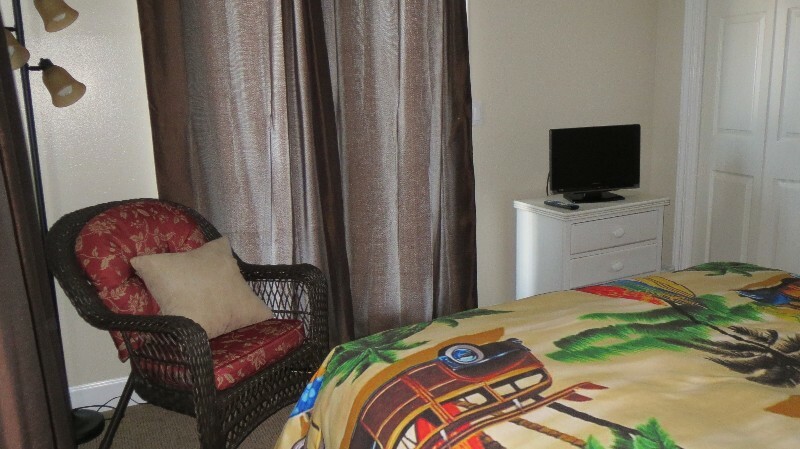 All of the bedrooms have sitting areas where you can relax, read a good book, or watch your favorite show. 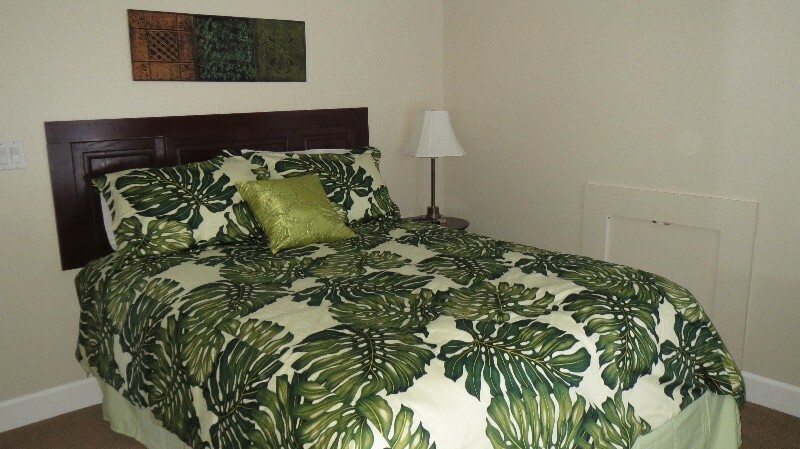 They are all equipped with ceiling fans, new linens and brand new comfortable beds! No more backaches on vacation. 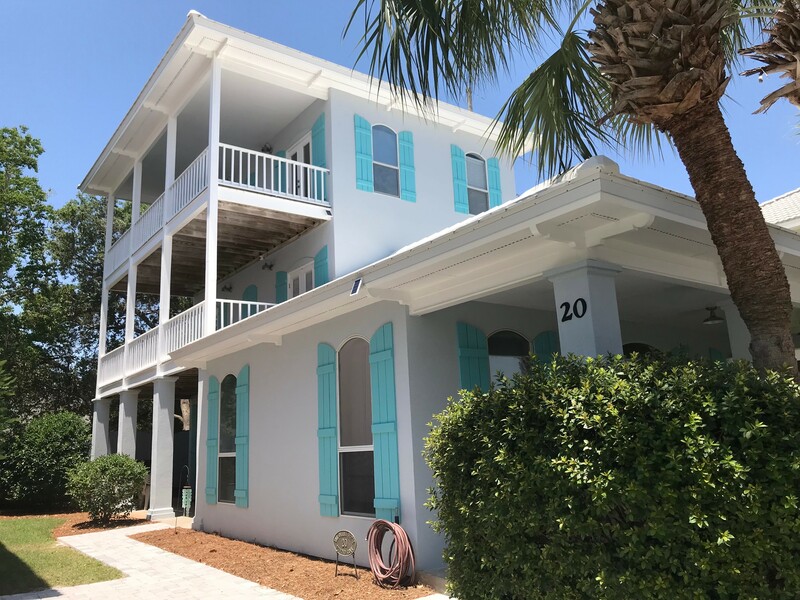 Each of the bedrooms have French doors that open up onto their own porches with patio chairs to sit in and soak up the tropical gulf breezes. There is also a Graco portable crib for your use. The home has undergone a major remodeling/renovation and has all new toilets, new large capacity water heater, brand new outside French doors, two A/C units to keep you cool up on the top floors, new furniture, all new linens, new bedding, new mattresses, new carpet, new paint, new window treatments, all new lighting, new ceiling fans and many, many more upgrades. 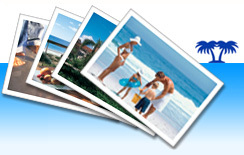 We offer free Wi-Fi, multiple TVs, DVD players and cable TV. The Ohana Beach House is the perfect place for your family to vacation safely within a gated community, in a quiet cul-de-sac with private driveway for parking, two pools, tennis court, basketball court, shuffle board, several Gulf-front restaurants and the spectacular white sand beach with the crystal clear turquoise waters of the Gulf all within a few steps from your front door. We hope you will come and visit soon! 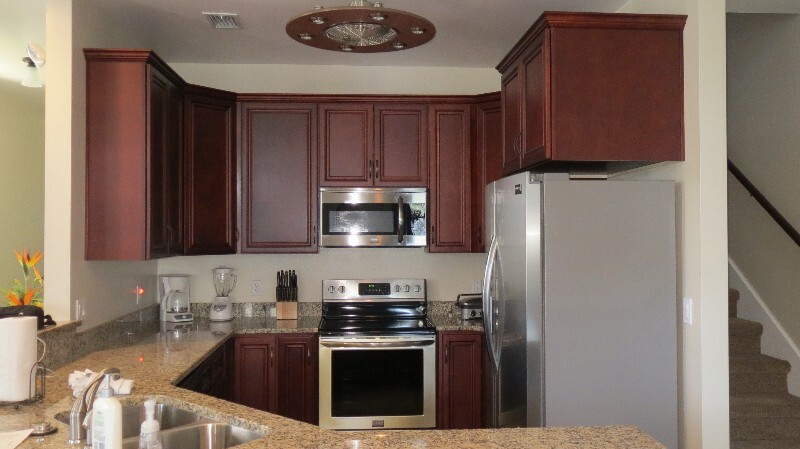 Blender Can Opener Coffee Maker Counter Dishes Dishwasher Garbage Disposal Microwave Mixer Pots Refrigerator Stove Toaster Utensils Waffle maker, crock pot, electric frypan Seating for 13 TOTALLY REMODELED IN MAY 2014!